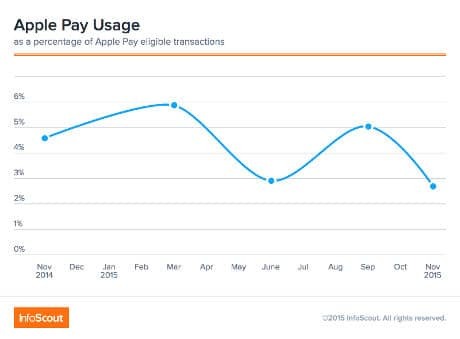 Only 2.7% of US shoppers with Apple Pay used the service on Black Friday to make a purchase in a store equipped to accept the mobile payment technology — representing a decrease from 4.9% last year, research from InfoScout reveals. 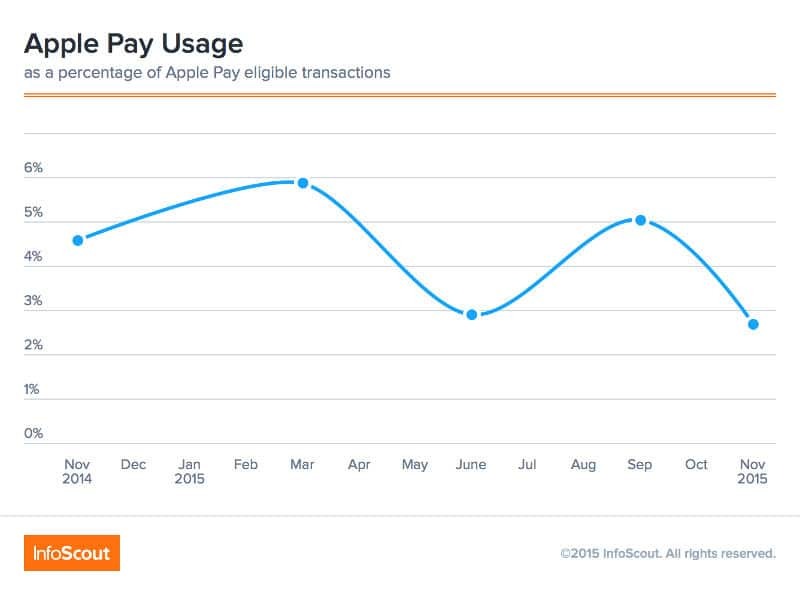 Just 2% of Android owners used their device to make a mobile payment for eligible transactions during the day. 79% of iPhone users and 74% of Android users opted to pay with a plastic credit or debit card.18% of iPhone users and 24% of Android shoppers did not choose to pay with either their mobile device or plastic card. “This was our first time investigating mobile wallet usage among Android owners and we were interested to see that, of all the mobile wallet options available, it was actually PayPal that came out on top on Black Friday,” the company says. “Since Android Pay and Samsung Pay were both released within the last three months, we may see this picture change as time goes on. The research was based on 300,000 Americans using iPhone 6 devices or above and Android handsets including the two most recent versions of Google’s Nexus phones, the LG G3 and G4, and the Samsung Galaxy S5 and S6.